I would like this except for ONE THING. "Beaten to death by two BLACK teens". This just serves to promote more hatred and discord amongst the races. WHEN WILL IT STOP? WHEN WILL WE STOP BUYING INTO THIS ANTI-OTHER RACE MACHINE??? I don't care if they are white, black, latino, PURPLE OR GREEN. I care about the fact that the person who was harmed, murdered, beaten and destroyed, I care about the fact that when he deserved the most honor, he was accorded the least. When he should have been protected by all of us for his protection of us, we were not there for him. I care about the fact that this world continues to create people that behave in the deplorable way these young kids acted. I care about the fact that the world my children are growing up in is filled with such hatred for one another that a person who created a poster to bring remembrance to another individual, couldn't look beyond the SKIN COLOR of the criminals. I DO NOT CARE what sort of melanin they have in their system. Because that is the only difference between a person of caucasian skin and a person of brown skin. Just a little bit of melanin. I HATE being judged for being white. Or fat. Or female. Or old. Or crazy. We need to stop it. Stop it right here, right now. STOP PLAYING THE RACE CARD PEOPLE. EVERY ONE OF US. It is up to us to make the changes we wish to see in this world. Would the poster have mentioned the race of the criminals had they been white and the Vet been Black??? I think not. Unless you've been in a coma locked away in a gunsafe for the last 5 years, you should know that there is a very definite and demonstrable BLACK VIOLENCE PROBLEM in America. This isn't my opinion, it's a statistical fact, and it has received little if any attention in the mainstream media. However, in at least one remarkable instance, an irrefutable authority on the subject HAS spoken publicly on the problem. Raymond Kelly, Commissioner of the New York Police Department (NYPD) was asked, on ABC's "Nightline" program on May 2, 2013, to comment on violence in New York City, based on race. 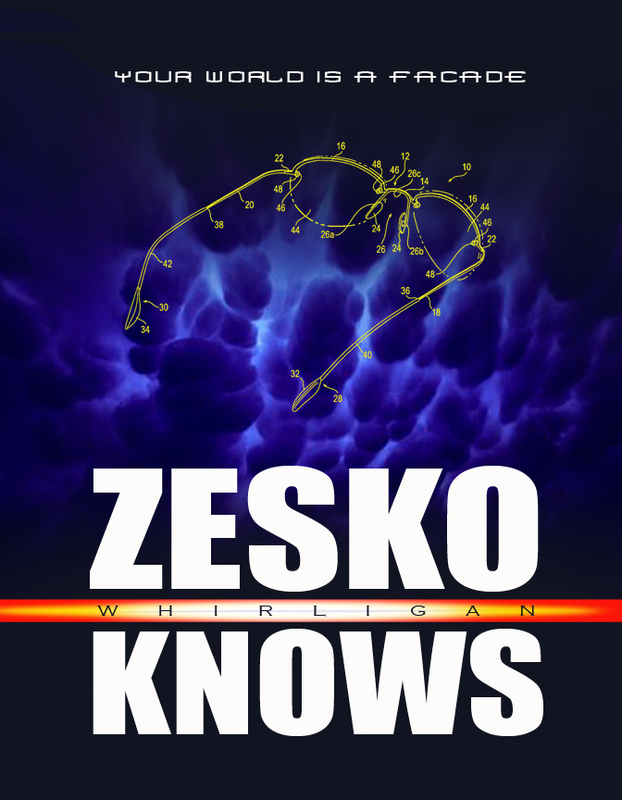 Kelly's statistics are reflected and reinforced by law enforcement agencies all over the United States. Black Americans comprise only 14% of this country's total population. Only a fraction of this number of Blacks commit violent crimes. Therefore, we're talking about 3% of the American population that commits between 53% and 75% of ALL violent crime in the nation. This is a DEFINITE and DEMONSTRABLE problem that comes straight back to the Black community. We're not talking about ALL TEENS in America. That would be an insult to ALL TEENS. We're talking about BLACK TEENS committing a vastly disproportionate number of violent crimes in the country, compared to all other races and age ranges. So, no, I'm not apologizing and I'm not acknowledging the moral high ground of anyone who REFUSES to educate herself on a very real and very RACIALLY-DEFINED problem in America. You are following the lead of race-baiting, politically-correct propagandists who have pressured our news media to STOP mentioning race in violent crime reports. Do you know why the news media doesn't mention RACE in violent crime reports? Because, if they DID mention RACE in every violent crime report, it would become abundantly obvious that BLACKS commit the vast MAJORITY of violent crimes in the USA. And, regarding your last remark — "Would the poster have mentioned the race of the criminals had they been white and the Vet been Black??? I think not" — I can emphatically reply that you are COMPLETELY out-of-touch with crime and race in America. If two white teens had beaten a BLACK vet to death, the ENTIRE Black community would rise up, protest in the streets, riot, make death threats, place a bounty on the heads of the white teens, and DEMAND "justice"... I know this because I have SEEN it in the news media REPEATEDLY, and most recently in the Trayvon Martin case. George Zimmerman and his family are STILL receiving death threats from seething, hate-filled Blacks. Except, in the Trayvon Martin case, it was DEMONSTRATED in court that Trayvon Martin was the ASSAILANT. He wasn't even the victim. George Zimmerman was the victim who successfully defended himself again BLACK TEEN VIOLENCE. Yet the Black community rose up in a FIT of RACE HATE against the victim. You can't deny ANY of that, so I won't ask you to reply. 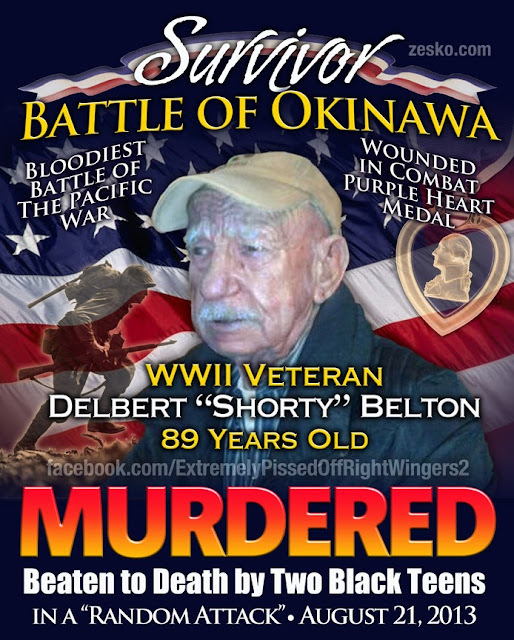 In fact, if 89-year-old Shorty Belton had turned around, pulled a 9mm and SHOT DOWN his two black teen assailants, we would be reading about an enraged Black community rising up, protesting, rioting, making death threats, placing a bounty on Shorty's head, and demanding JUSTICE for the two black teens. See, white apologists have NO PROBLEM with Al Sharpton and Jesse Jackson and Barack Obama, et al, fueling race hate and division in America. White apologists only see WHITES as "racists," they don't even realize that racism in America is worse under the Obama administration than it's been in 30 years; and we're talking about Black-on-White racism, we're talking about Black-on-White violent crime. The people who want to OMIT RACE from violent crime reports are the same people who want to blame violent crime on ALL society. Instead of saying, "75 blacks rampaged through town, smashing out windows and assaulting people," they want to say it was a "teen mob," implying that it's a "teen" problem... NO. It's NOT a "teen" problem. It's a BLACK problem. Tell the Truth. FACE the truth. The Black Community, which is, after all, only 14% of the entire American population, actually DOMINATES the vast majority of violent crime in America. How does that work? How does REMOVING the word BLACK from violent crime remove the RESPONSIBILITY from the Black Community? It doesn't. That's why all these gullible drones who are saying "RACE HAS NOTHING TO DO WITH CRIME!" are living in DENIAL of the facts. See no evil, hear no evil, speak no evil means that EVIL doesn't exist, right? Wrong. REMOVING any mention of RACE from violent crime reports is an attempt to blame ALL SOCIETY for the actions of specific individuals and groups. WHY do liberals want to REMOVE blame from specific individuals and groups? Law enforcement statistics DEMONSTRATE that BLACKS (who comprise only 14% of the American population) commit as much as 75% of ALL violent crime in the nation. If ONE MINORITY is responsible for the VAST MAJORITY of violent crime, WHY do liberals want to blame the ENTIRE COUNTRY? That's an attempt to PASS THE BLAME. That is DENIAL. But WHY do liberals consider it VERBOTEN to honestly blame BLACKS for BLACK CRIME? I mean, we don't have to focus on Blacks, if it makes the liberal drones out there uncomfortable. We can focus on the FBI studies of Hispanic gang crime. Hispanics commit the majority of GANG violence in America. Or we can focus on Left-Wingers who, according to FBI studies, commit TWICE as many acts of violence and terrorism and assassination as Right-Wingers. Oh, but we mustn't SAY such things in our news media! In our Socialist news media, we mustn't SAY that Blacks commit MOST of the violent crime in America. We mustn't ADMIT that Hispanics commit the most gang violence. We mustn't ACKNOWLEDGE that Left-Wingers are FAR more extremist and DANGEROUS than Right-Wingers. In fact, let's just OMIT all mentions of Race and political ideology when discussing crime and violence and terrorism, right? Well... If you want to OMIT race from violent crime reports, then the Trayvon Martin case would NEVER have been national news story for over a YEAR. Without RACE and RACISM driving the Black Community and the news media, the Trayvon Martin case would have been reported ONCE in a small local newspaper and then be forgotten. "Man legally defends himself against physical assault by angry teen. Teen killed."